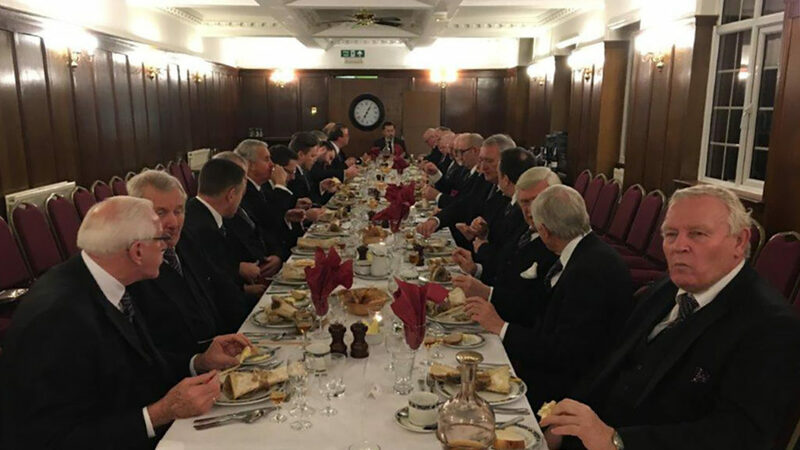 Stortford Lodge No 409’s Installation meeting kept all the Lodge traditions for the visit of the Provincial Junior Grand Warden, W Bro Bob Davis – the single sprig table accommodated the members and guests while they were served huge marrowbones. W Bro Rodney Northwood installed his good friend W Bro Richard Pearce (who will then be installing his son in twelve months’ time) The new Worshipful Master and Immediate Past Master both agreed the second time round was perhaps even more emotional than the first! The Provincial Grand Charity Steward, W Bro Chris Noble thanked the Brethren, and the Lodge Charity Steward, W Bro Bob Weston in particular, for achieving the Platinum Award Festival Honorific (175% of the Lodge’s target fundraising total). A fantastic night was had by all!